Ontario's Highway Traffic Act regulations apply to non-commercial and commercial motor vehicles operated on the roads and highways in Ontario, Canada. The Act includes cars, trucks, motorcycles, off-road vehicles, farm equipment, construction equipment, buses, motor home vehicles, and non-motorized bikes. You can obtain a copy of the Act online. You can also purchase a print copy from ServiceOntario Publications. The Act is written in English and French. The Act includes virtually everything you need to know about Ontario's roads and highways. It defines key terms and vehicles that fall under federal statutes, like the Young Offenders Act, Youth Criminal Justice Act, Motor Vehicle Safety Act, Criminal Code, National Defense Act, and the Criminal Records Act. And provincial statutes, such as the Ambulance Act, Municipal Act, Public Transportation and Highway Improvement Act, Motorized Snow Vehicles Act, and the Public Vehicles Act, also are included. What Is a "Prohibited Acts" Charge? Permits are issued by the Ministry of Transportation (MOT) pursuant to the Canadian Agreement on Vehicle Registration. The Act states you cannot drive a motor vehicle on a road or highway unless there exists a currently validated permit for your vehicle, your permit is displayed on your vehicle, and you can show evidence that the permit is valid. The Act specifically outlines that no person is permitted to drive a motor vehicle on a highway or road unless it is a permitted-class vehicle and the person has a valid driver's license. There are different types of driver's licenses in Ontario. The Act states that if you decide to take a driver's license examination, it must occur at a time and place authorized by the MOT. This section provides key terminology for driving on Ontario's roadways. For example, a "road service vehicle" is one operated by or on behalf of a municipality or other authority having jurisdiction and control of a highway while the vehicle is being used for highway-maintenance purposes. It also outlines the kind of authority given to police officers to direct traffic in specific circumstances. Cheryl Thompson is currently a Ph.D. student in Communication Studies at McGill University. Her dissertation research is on the black hair care industry. She is a music, popular culture and film enthusiast and has published articles and reviews in the Canadian Theatre Review, Toronto Star, "Exclaim!" Magazine, and "Chart" Magazine. Thompson, Cheryl. "Ontario Highway Traffic Act Regulations." , https://legalbeagle.com/6581914-ontario-highway-traffic-act-regulations.html. Accessed 21 April 2019. 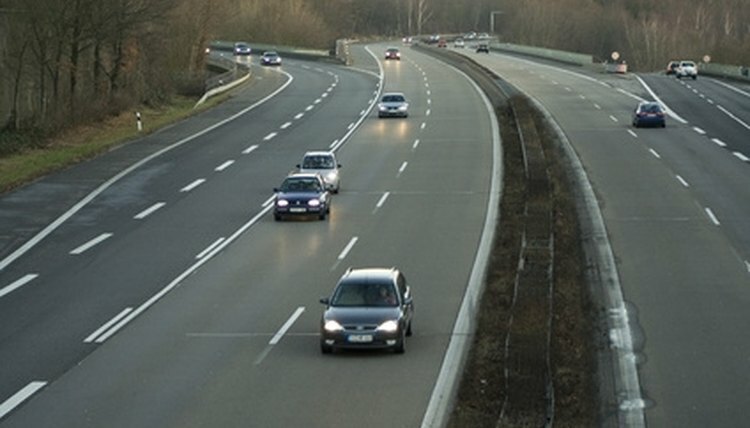 What is Section 46 of the Highway Traffic Act?